UVA Restaurant hosted NAC Dad of the Year and his lovely wife Jodi for their anniversary dinner. A complimentary Dinner for Two was included in his $10,000 winner’s package. He wanted to celebrate in style as he begins his reformation journey with his NAC Dad of the Year makeover package. UVA is the ideal BYOB setting for hosting special occasions and private functions, or an urban-feeling night out without the drive to the city! 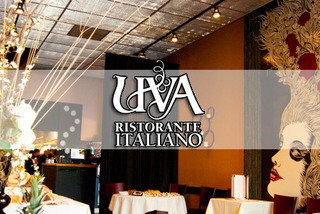 Click on the image above to visit UVA website where you can make reservations online anytime. We wish to thank UVA for their enthusiasm for our NAC Dad of the Year contest. Without our generous partners, this program would not exist and we are tremendously grateful. To read all the exciting details about the $10,000 winner’s package and to read about Mike Lanctot and his nomination. InClubGolf Play Opportunity #WhichGroupExWillITryNext Kamagon Kore with Kathi Allen!